Commissioned by the Spitfire Association as part of the Australian War Memorial’s Plaque Dedication Program. This plaque was dedicated on 29 November 2013 at a ceremony held at the Australian War Memorial. 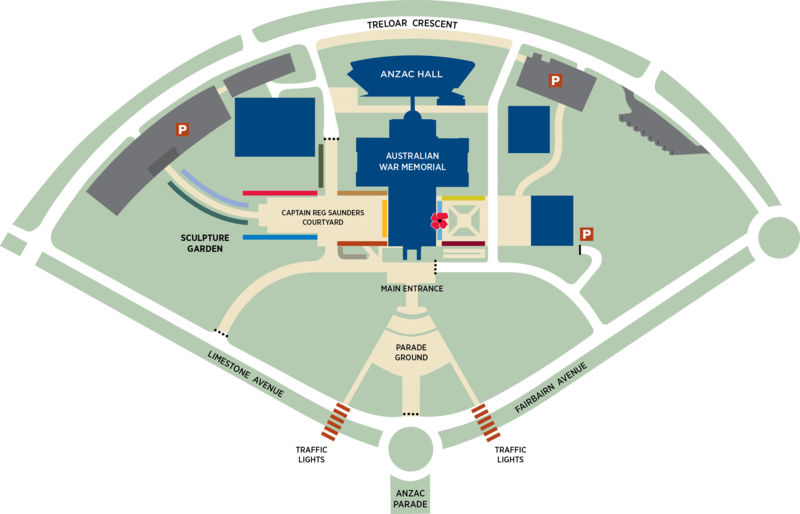 The general location of the No 80 Wing First Tactical Air Force RAAF plaque is indicated by a red poppy on the map below. Under the Memorial's former Plaque Dedication Program, members of the Australian armed forces who died during war or on operational service were honoured by a plaque. These bronze plaques are placed along paths in the Memorial's grounds. Applications for the Plaque Dedication Program closed 30 June 2015, other than for applications from units engaged in the contemporary Middle East Area of Operation.